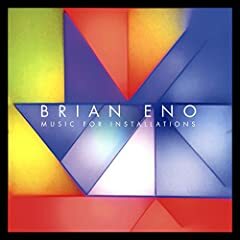 Brian Peter George St John le Baptiste de la Salle Eno, RDI (/ˈiːnoʊ/; born 15 May 1948 and originally christened Brian Peter George Eno) is an English musician, composer, record producer, singer, writer, and visual artist. He is best known for his pioneering work in rock, ambient, pop, and electronic music. A self-described "non-musician", Eno has helped to introduce a variety of unique conceptual approaches and recording techniques into contemporary music, advocating a methodology of "theory over practice" throughout his career. He has been described as one of popular music's most influential and innovative figures.